Sunderstorm's delicious Kanha offer a medicated experience in the form of Sour Apples. First, mouthwatering sour, then deliciously sweet! 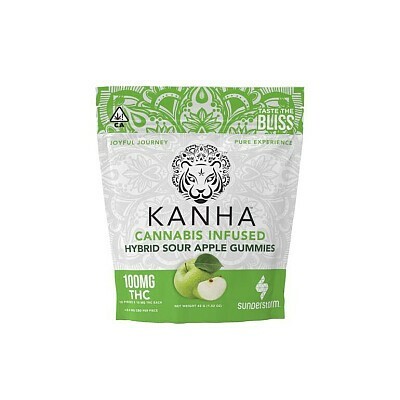 Unwrap the power of tasty green apples infused with only the highest quality CO2-extracted organic cannabis oil. Kanha reminds you of the playfulness and joy to be found in life. Medicate without compromising your taste buds. Available in 100mg bags.